Some dishes depend on one special ingredient, the absence of which gives you something rather ordinary, the inclusion of which creates something extraordinary. This is one of those dishes. This carrot salad comes from the Middle East, and depends on the addition of orange blossom water, which like rose water, is often used in Middle Eastern cooking. Orange flower water is distilled from bitter orange blossoms and is used to flavor drinks, salads, and desserts. You can get orange blossom or orange flower water at a Mediterranean market. Whole Foods also carries it. Local chef Evie Lieb made this salad in our cooking class this week and I don’t think I’ve ever tasted carrot salad so exotically delicious. 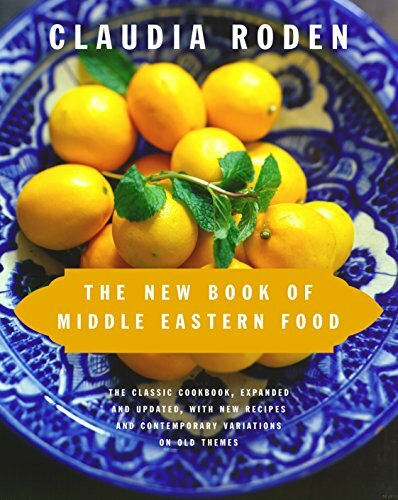 Evie adapted this recipe from one by Claudia Roden in The New Book of Middle Eastern Food. 1 Combine all the ingredients except mint. 2 Chill in refrigerator several hours or overnight. 3 Serve garnished with slivers of mint leaves. Hello! All photos and content are copyright protected. Please do not use our photos without prior written permission. If you wish to republish this recipe, please rewrite the recipe in your own unique words and link back to Orange Blossom Carrot Salad on Simply Recipes. Thank you! I also like to use English lavender (it’s sweeter than others) instead of orange flower. And carrot salad is even more delicious with some sour cream or yogurt mixed in! I like all kinds of carrot salad, but my favorite is fresh grated carrots, stir in well drained crushed pineapple and sprinkle a little sugar over. No mayo or anything else. Very simple. Sometimes for variety I also stir in raisins. I made this salad yesterday for lunch today, and it was delicious. The orange blossom aroma fragranced my kitchen beautifully. I substituted dried cranberries for raisins (’cause I like ’em better) and it worked really well. Thanks for sharing the recipe! I think I’ll try the rose petal flan next. As a diabetic, I’m always looking for quick and taste tempting ways to get more veges every day. Thank you so much! Thankyou so much. It’s fantastic. EVERYONE loved it. Even the kids. I love this salad, I love yoghurt in it. Hi Janine, I think I’ve loved every carrot salad I’ve ever eaten, and I agree with you – the standard version is terrific. Thanks for the suggestion of using sour cream or yogurt; that would be good too. I adore the “ordinary” carrot salad (I use carrots, dark raisins, sour cream or yogurt, and sugar — not mayo! ), but this sounds splendid too. I love the idea of the orange flower water.